Browse a local Triumph showroom and it would be easy to think that its range of retro-modern machines, which includes the T100 Bonneville, the Street Cup and Street Twin, consists of vaguely similar bikes with slightly differing bodywork. 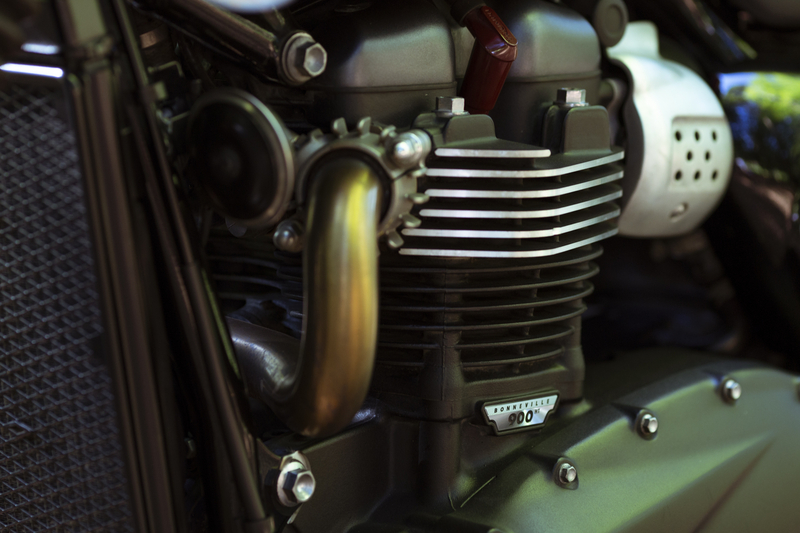 This may be true on the surface, as all of the above essentially revolve around the same 900cc liquid-cooled parallel twin engine, but spend some time with all of the aforementioned models and you’ll soon discover they each boast a unique character. Street Cup is sporty and agile, goading the rider to tuck in and lean it through a corner, the Street Twin feels nippy and perfectly suited to daily journeys through busy city centres, while the Bonny is a stylish, lazy cruiser. We have to admit, we struggled to see where the Street Scrambler would fit in the line-up – despite being blown away by its meaty, superbly retro scrambler styling – but all became clear after just a few hours in the saddle. 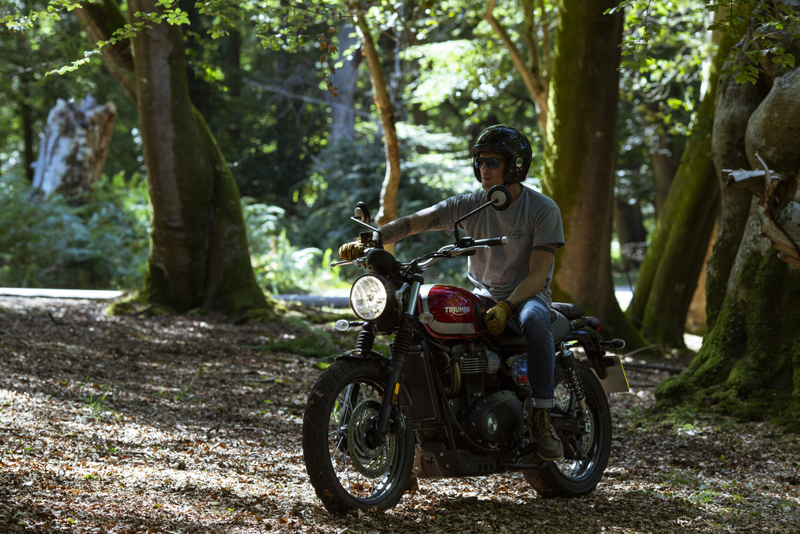 Throw a leg over the low-slung seat, fire up the engine and the nimble, well balanced machine immediately inspires confidence. It’s the sort of bike that has you standing upright on the pegs, pretending you’re riding with McQueen in On Any Sunday, despite merely popping to the shops for a packet of biscuits. 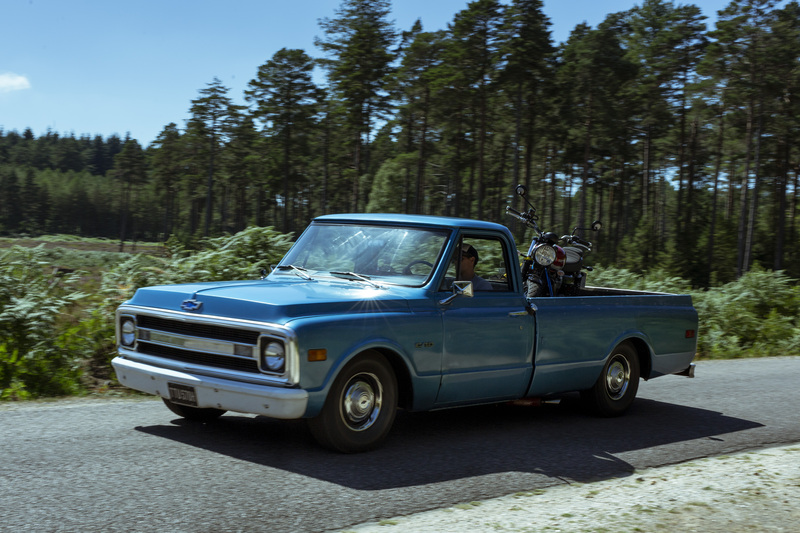 As you can see from the images, we loaded the Street Scrambler on to the back of Flat-Out’s very own Chevrolet C10 in search of some rough terrain and to see if the bike could actually handle some mud. Admittedly, there aren’t many places one can legally ‘scramble’ in our local area, so we resorted to a few forest tracks in search of kicks. 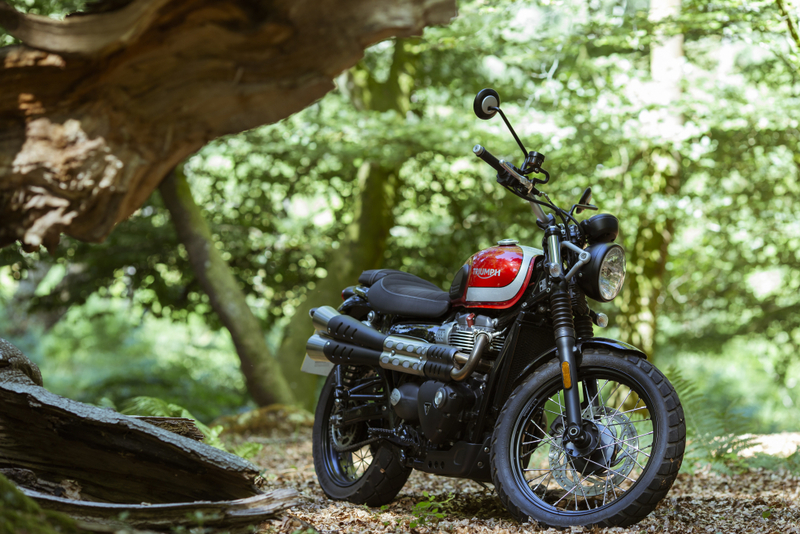 Turns out the glut of low-down torque and predictable power deliver make the Street Scrambler an impressively capable machine when the going gets tough. However, the traction control system is a tad nannying and has to be switched off via the digital display every time the ignition is switched on, while serious off-roading will likely require a more suitable suspension set up (and some muscle, considering it weighs 206kg dry), but it’s more than capable of some light trail riding. But let us not forget this machine is called a Street Scrambler and the street bit is very important, as this is a bike you’ll want to ride to your local cafe, place of work or favoured watering hole, because it is so much fun. 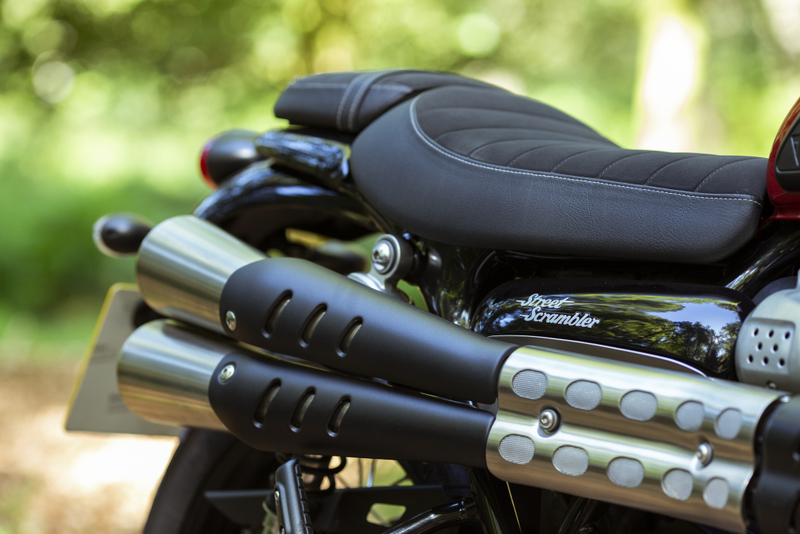 The stylish mid-rise pipes let out a pleasing thump when the throttle is twisted and the throwback, custom styling never fails to raise the odd appreciative nod from passers-by. 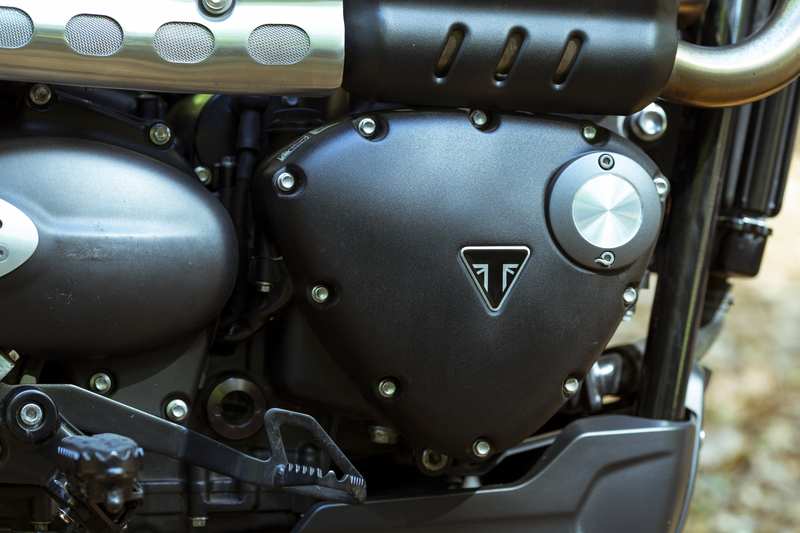 Granted, we vehemently dislike some of the tacky stickers that adorn the flanks of the bike, while some of the engine casing was worryingly scratched and scuffed, despite the test machine only displaying around 5,000 miles on the clock. But the former can easily be removed, while the latter can be put down to journalists abusing the bike more than a typical owner would, but worth noting seeing as these stylish machines start at £9,000. 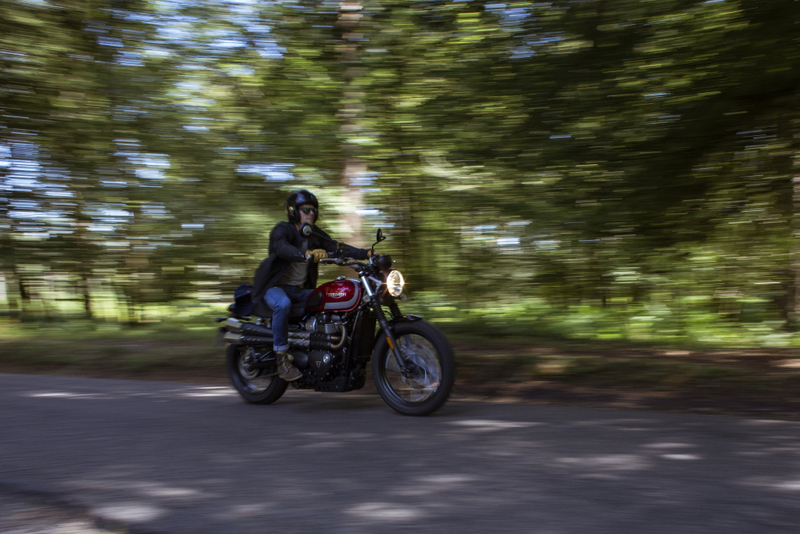 Perhaps the one area in which the Street Scrambler fails to deliver is on longer motorway cruises, where a lack of sixth gear, slightly disappointing 54bhp and a shortage of puff at the top end can make things a little tiring. 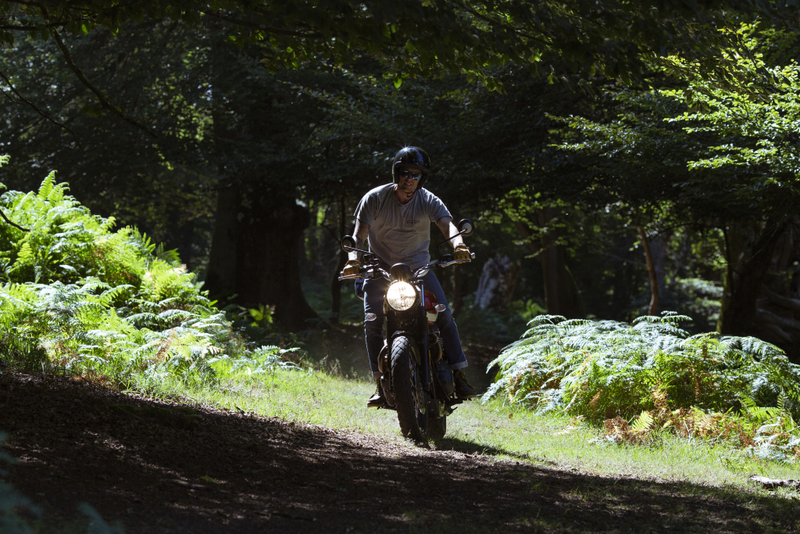 However, even if you did fancy loading up and embarking on a continent-crossing adventure, you’d want to stick to the smaller, more technical roads anyway, simply because it would provide more memorable riding moments. 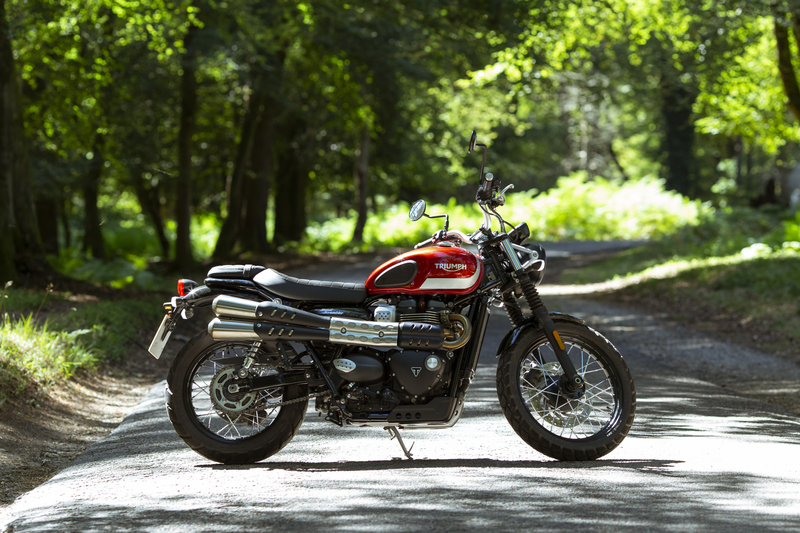 If the Street Twin is the true urban dweller, the Street Scrambler is its gentrified cousin – willing to pop into the big smoke every now and then, but retiring to its country pile at weekends, where the roads are more fun and the chance to get muddy is just around the corner. Images by Ben Ramshaw. Check out his site or follow him on Instagram for more. Leon wears Tucano Urbano Bred Jacket (£289.99) and Bell Custom 500 Helmet (£149.99).